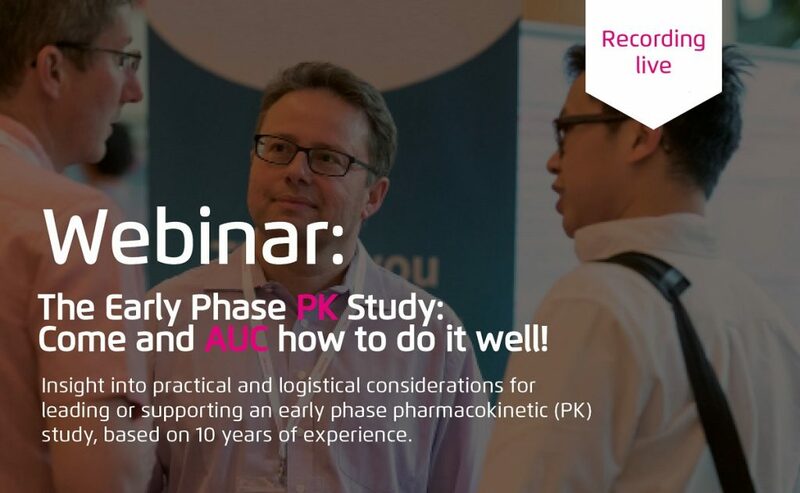 Webinar | The Early Phase PK Study: Come and AUC how to do it well! Webinar – The Early Phase PK Study: Come and AUC how to do it well! Statistics Manager, Clare Newall gave us an insight into practical and logistical considerations for leading or supporting an early phase pharmacokinetic (PK) study, based on knowledge accumulated over more than 10 years (and the benefit of hindsight). It is intended to provide useful information for statisticians and programmers, as well as data managers, project managers and others in the wider study team. This content is appropriate for individuals with little or no prior PK experience, as well as more experienced team members. The presentation provides an awareness of some key operational and reporting challenges (and pitfalls!) such that these can be proactively taken into account during the planning, clinical and reporting phases of the study. Although the intention was not to provide a theoretical introduction to PK, some key concepts were included, where relevant.